Looking for an affordable budget IP camera that won’t fall apart after a few months, doesn’t spy on your family and doesn’t cost a bomb in ‘subscription’ fees every month? Yes I have been there too. The market is awash with cheap generic Chinese IP cameras that are super cheap but are probably more trouble than they are worth. If you have just started researching and already feel like giving up, don’t worry we have got you covered. Your time is valuable, so we have separated the wheat from the chaff for you. Here’s our hand-picked list of the best budget IP cameras for 2019. 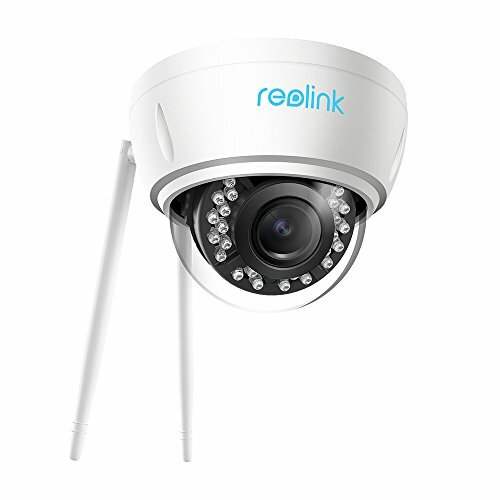 Reolink is a solid mainstream brand that makes both budget and advanced IP cameras. The RLC-410 is a tried and tested model that is now in its third year. 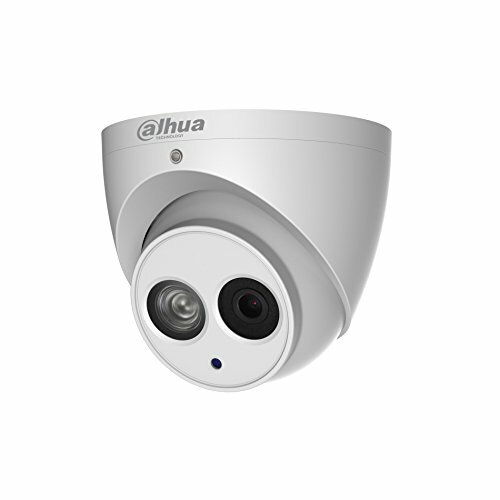 The RLC-410 and 410W variant are entry-level outdoor IP camera models. Unlike most cheap IP cameras which are made of plastic, these cameras have a full metal body. Both have on-board microphones and local storage by way of the on-board SD card slot. The only difference between them is that 410 is PoE-only and 410W is WiFi-only. The camera can be easily ceiling mounted and comes with elbow joints. There is a true IR cut removable filter (ICR) to ensure excellent night time videos and faithful colour reproduction during the day. Noise reduction and back-light compensation are also available. Wide Dynamic Range (WDR) which is a premium feature is predictably absent on these cameras. One of the features that budget IP cameras miss out on is our beloved built-in NVR feature. I am happy to report that both the RLC-410 and RLC-410W have the built-in NVR feature. This feature is great if you are just starting out and have a single camera or do not have a dedicated NVR. So you can set up the camera to do basic motion detection, and it will overwrite older videos automatically. But do note that Reolink cameras do not support advanced motion detection methods. However the camera doesn’t support continuous recording to the on-board SD card, which is fine because its not something I recommend anyway. You will just end up wearing out the SD card sooner. SD cards are best suited to intermittent motion detection clips being written, rather than continuous data recording. The cameras can instead record to a Reolink NVR or any 3rd party NVR or software that supports the ONVIF standard and RTSP protocol. 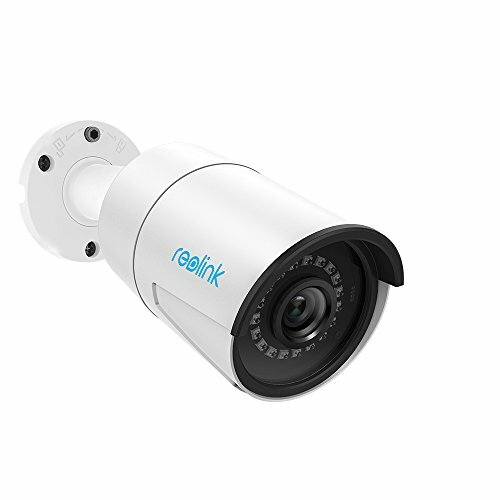 The RLC-422 has been continuously improved by Reolink and took the crown of best value dome IP camera in our annual IP camera rankings. Belying its budget-friendly pricing, the RLC-422 sports a 4x motorized vari-focal lens, which is really a premium feature. The camera also has a built-in NVR feature and together with the SD card slot, you can forego an NVR if you wish. The motion detection feature is a bit lacking as it supports only simple MD, but it does support zones and you can adjust the sensitivity in each zone. However advanced motion detection methods that would help cut down false alerts are not available. The Reolink mobile app is stable and lets you live view all your Reolink cameras simultaneously and access the built-in NVR feature of the timeline. The mobile app is a high quality affair and I use it daily as one of our baby monitor apps. The camera has a metal body and is IP66 weatherproof and IK10 vandal proof. In case you cannot conveniently wire the camera up at your installation location, you can get the Wi-Fi version – the RLC-422W which supports both 2.4 and 5 GHz bands. Unfortunately, Reolink does not make a model with both PoE and Wi-Fi features. So depending on whether you need the audio and alarm in/out connections or prefer an on-board mic, and the available space you have, choose one of the models above. If you don’t want audio features at all, check out the IPC-HDW4431M model. 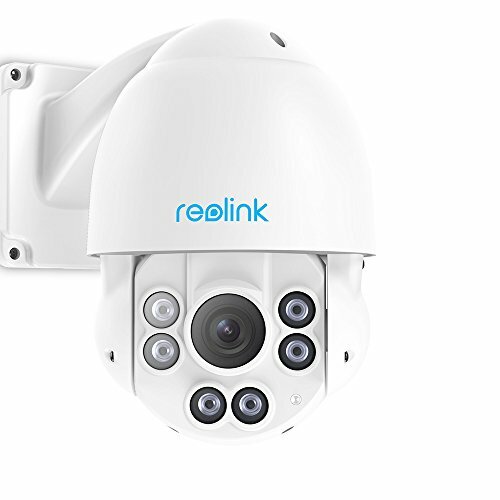 The 4MP Reolink RLC-423 of 2017 has been upgraded to 5MP for 2019. When we first reviewed it, we were very impressed with the quality and features that Reolink managed to cram into this PTZ at a very affordable price. But this is a budget PTZ camera – it doesn’t have auto tracking or advanced motion detection, on-board storage/SD card, alarm connections or WiFi. But for the asking price, these are not deal-breakers at all. 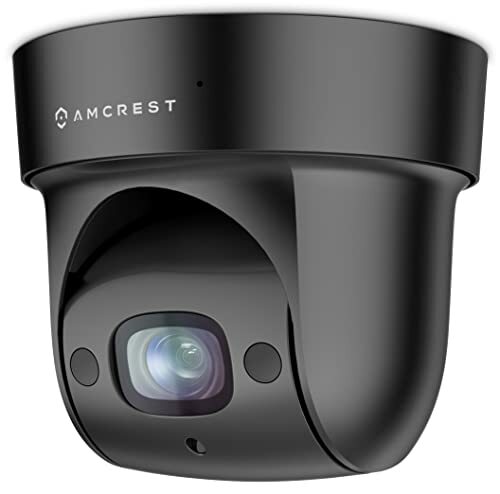 While Amcrest’s outdoor IP cameras are decent yet uninspiring, their indoor IP cameras such as the Amcrest ProHD 1080p Pan-Tilt WiFi Camera (IP2M-841B) are very reasonably-priced and well-made. Amcrest has this unique blend of high-quality hardware, reliable software, and great after-sales support. The IP2M-841B that I still use as one of our baby monitors has now been succeeded by the IP3M-941B. It has an Ethernet port, WiFi, built-in InfraRed LEDs for very good night vision, clear 2-way audio with mic and speaker, built-in SD card local storage, and on top of all this, very good low-light performance. One downside is that the pan-tilt motion is not super quiet. Amcrest has smartphone apps for both iOS and Android. 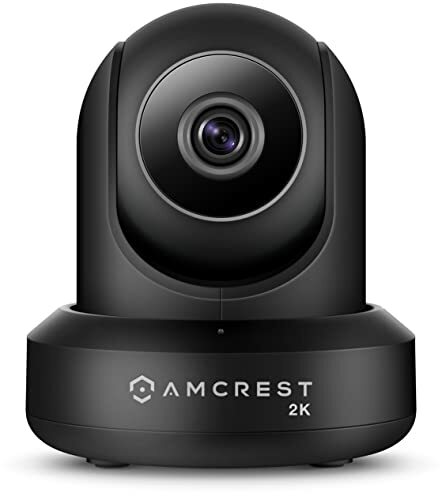 4 hours of free cloud storage comes free with every Amcrest camera, with more storage available on the purchase of a subscription. The camera does not need an Internet connection to be set up or for functioning normally. You can use outdoor PTZs indoors, but they have one major drawback: size. Indoor cameras should be discreet and unobtrusive, outdoor PTZs are anything but this. That’s why the Amcrest IP2M-846 is so brilliant – its a small indoor PTZ camera that you can tuck away in a corner of any room. Armed with a 2MP sensor, it has a motorized varifocal lens with 34.5°-116.5° viewing angle. Night vision is provided by EXIR LEDs that have a 30m range. It also has an SD card slot that works will with the built-in NVR feature. The Amcrest IP2M-846E is a PoE-only model and the Amcrest IP2M-846 is only Wi-Fi enabled. Wireless – Most cheap IP cameras have only Wi-Fi support. The better IP cameras have an Ethernet port as well. Unless your Wi-Fi camera is very close to your router, you are bound to suffer from drop-outs and poor video/audio. In a bind, you can use Wi-Fi but for security critical purposes, do not use Wi-Fi. PoE make Ethernet an even better choice as you can run just one cable to the camera. Continuous Video Recording instead of just automatic event triggered or manual recording. This requires a storage medium though, like an NVR which adds to the cost. Local storage – A microSD card slot is great for recording motion detection clips in addition to continuous recording to an NVR or DIY NAS NVR.